Synopsis: A simple, haunting phrase whistled off-screen tells us that a young girl will be killed. “Who is the murderer?” pleads a nearby placard as serial killer Hans Beckert (Peter Lorre) closes in on little Elsie Beckmann... 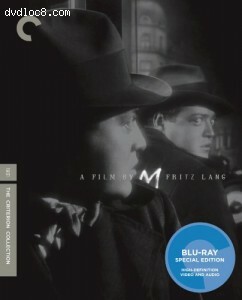 In his harrowing masterwork, Fritz Lang merges trenchant social commentary with chilling suspense, creating a panorama of private madness and public hysteria that to this day remains the blueprint for the psychological thriller.